When Mamá's purse falls on the floor, Sofia gets a peek at Mamá's old Resident Alien card and comes to the conclusion that Mamá might be an alien from outer space. Sofia heads to the library to learn more about aliens. Some are small and some are tall. Some have four fingers on each hand and some have large, round eyes. Their skin can be gray or blue or green. But Mamá looks like a human mother! Could she really be an alien? 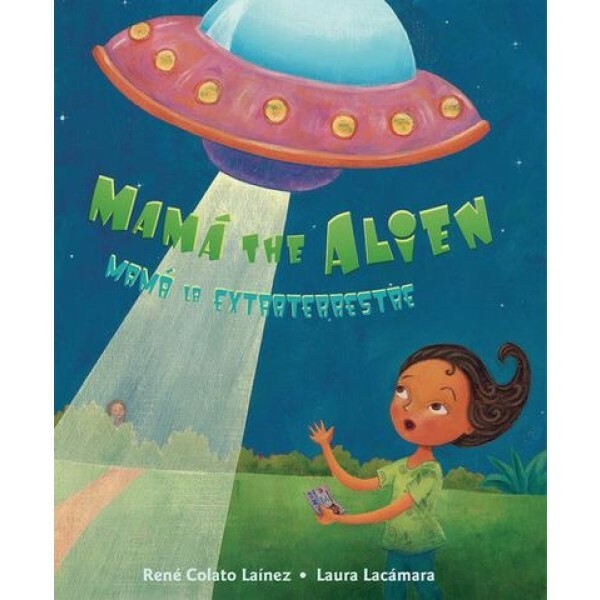 Sofia is still puzzling out this mystery when she sees an alien-looking Mamá one night. It turns out Mamá is doing a beauty treatment so she will look her best for her citizenship ceremony. That's when Sofia realizes that in English, an alien can be someone from another planet, and it can also be a person from another country. Just like Mamá! 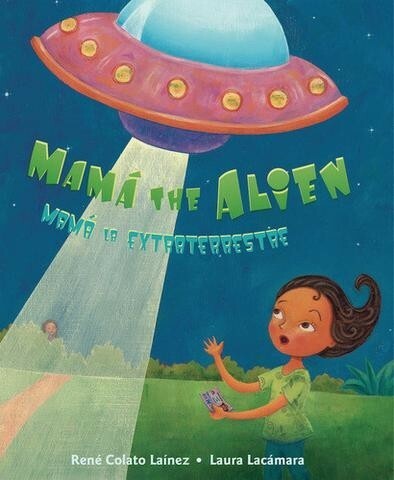 Filled with imagination and humor, Mamá the Alien / Mamá la extraterrestre is a lighthearted immigration tale and a celebration of family, no matter where that family comes from. Even if it's outer space!